In Mercantina’s kitchen everyone has a special place. For that reason, our cucina per amici offers to all the children up to 10 years an own menu, created thinking in its most symbolic taste, and a very special challenge to complete: the challenge Cara de Pizza. 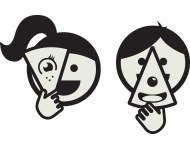 Along with a new menu, in every visit to the restaurant there’s a detachable game that reveals a set of mouth, nose or eye, which allows children to photograph themselves with a Pizza’s Face. The children's menu (main course + drink) is free for each child accompanied by an adult. * Campaign valid for lunch from Monday to Sunday and for dinner from Sunday to Thursday. You can try the diferent options to create your best Cara de Pizza. Take a Picture of your most funny face and ask your parents to share it on social networks. 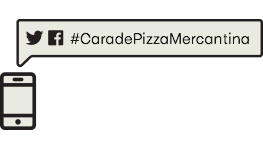 Use the hashtag #caradepizzamercantina to share your best face with us. The most funny faces take a surprise.